Our beautiful throws are designed and woven in Donegal, Ireland. The patterns and colours are inspired by the land and seascape that surrounds Donegal. 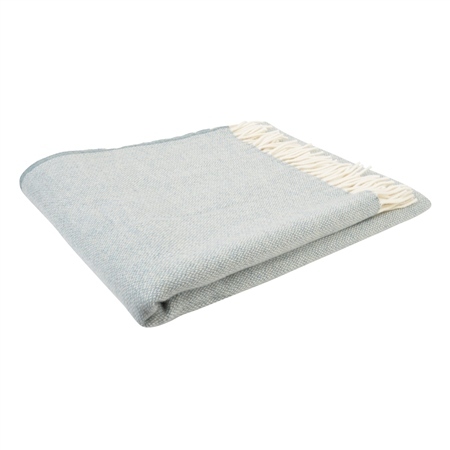 A luxury white and blue lightweight lambswool and cashmere blend throw in a hopsack design.